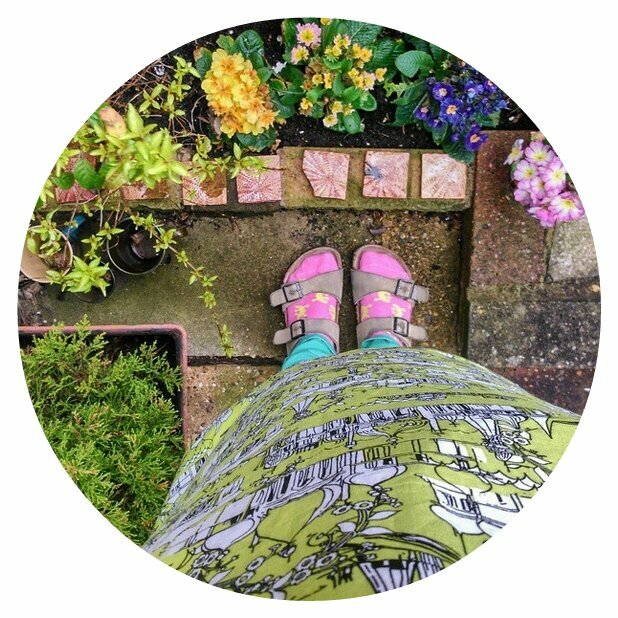 Though we didn't go away during the school Easter holidays, exciting day trips and action packed lovely long days have resulted in my accumulating something of a blogging backlog. 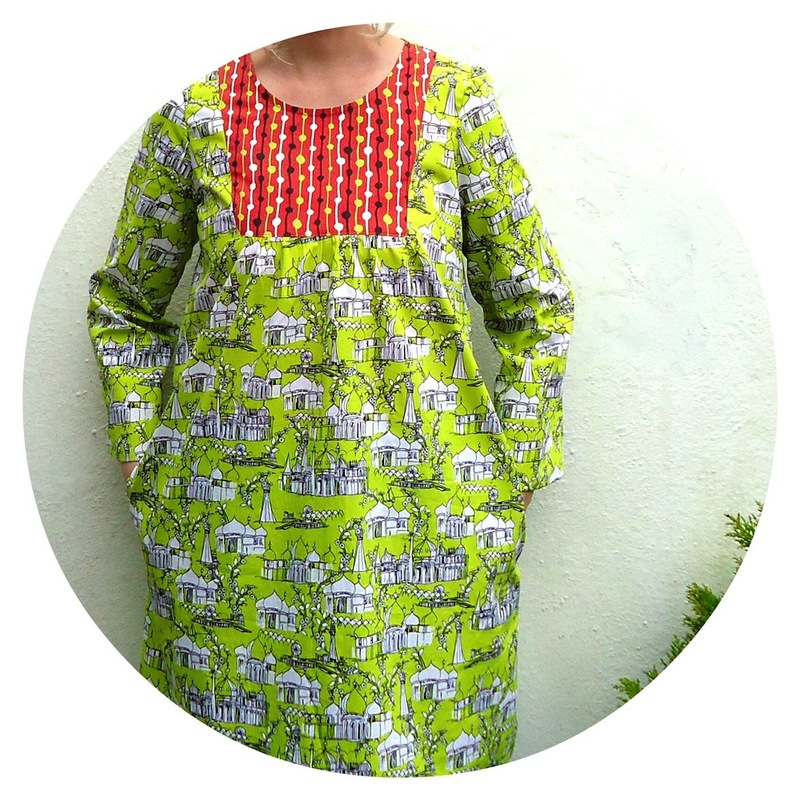 Like the recent lost two weeks of The Archers during the Ambridge floods, I'm not sure if I'll ever properly catch up, so instead will attempt to blog the things I most want a record of, starting with this – my latest Wiksten Tova dress in lime Brighton Pavilion fabric. 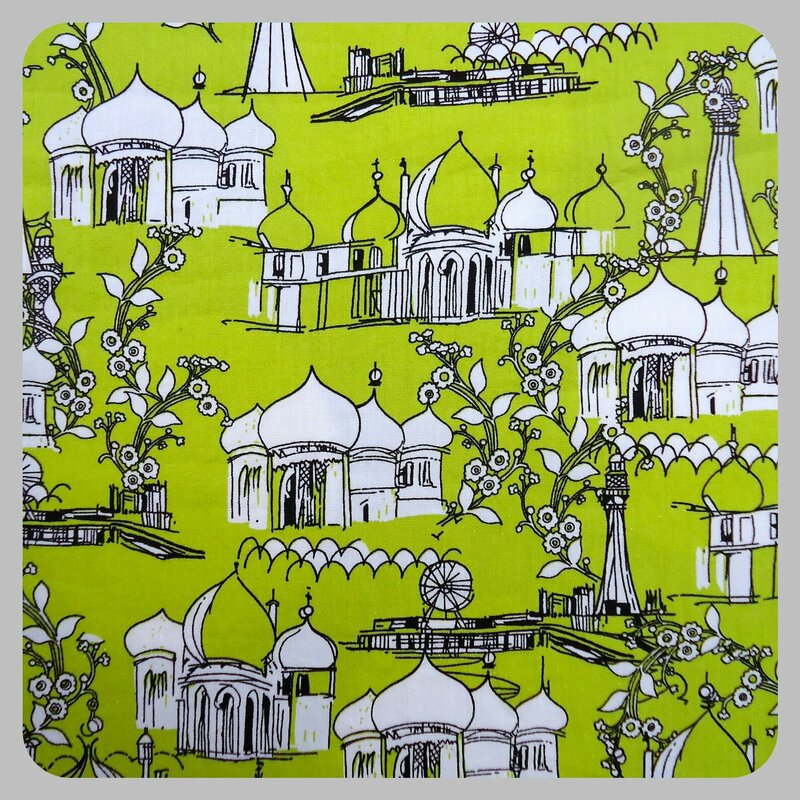 The Brighton Pavilion print is by Inprint at Makower UK and has been in my stash since last summer. It features drawn illustrations of Brighton's landmark buildings including the Royal Pavilion – John Nash's extraordinary oriental fantasy palace, built for King George IV in 1786. 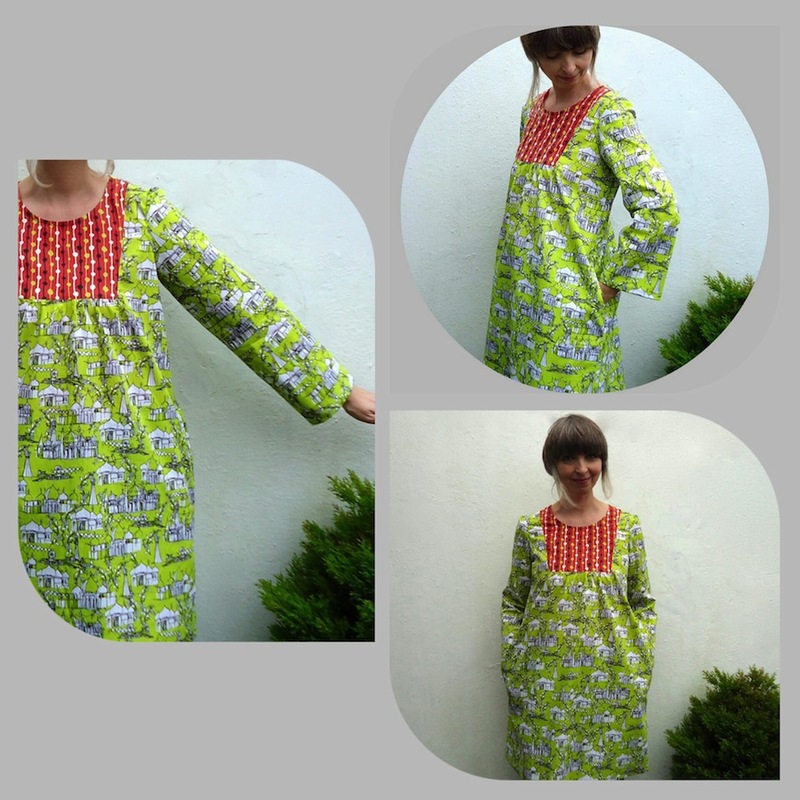 I bought two metres of the lime green version of this material from Ditto Fabrics knowing full well I'd made enough summer dresses for one season, but had to snap it up while it was there as whenever they get a new roll of this design, it sells out fast. 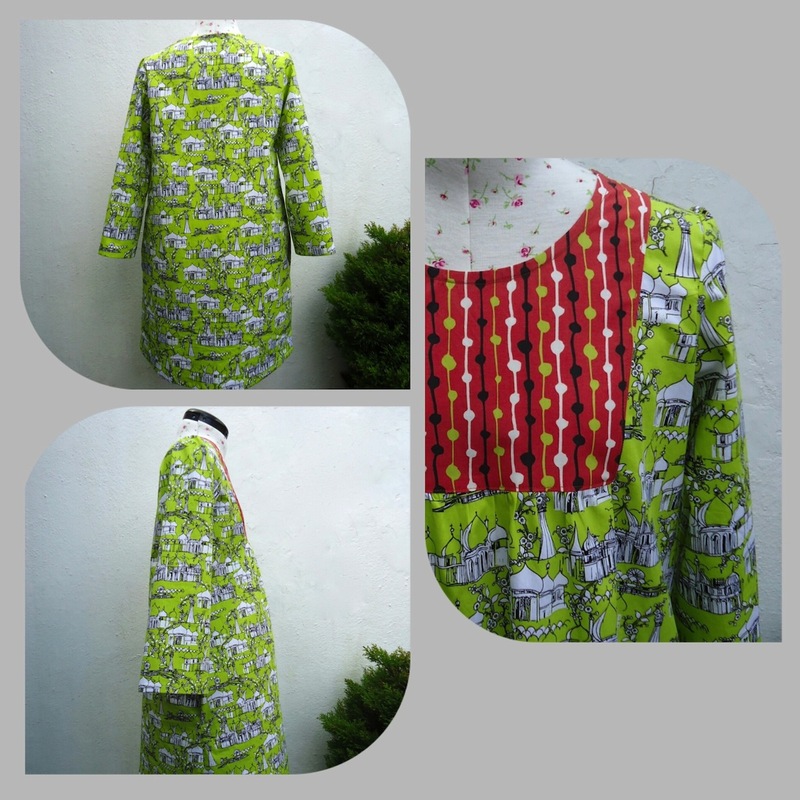 The yoke is made from Hemingway Designs Knotted Up print in brick, another piece from my stash which was left over from making bags. 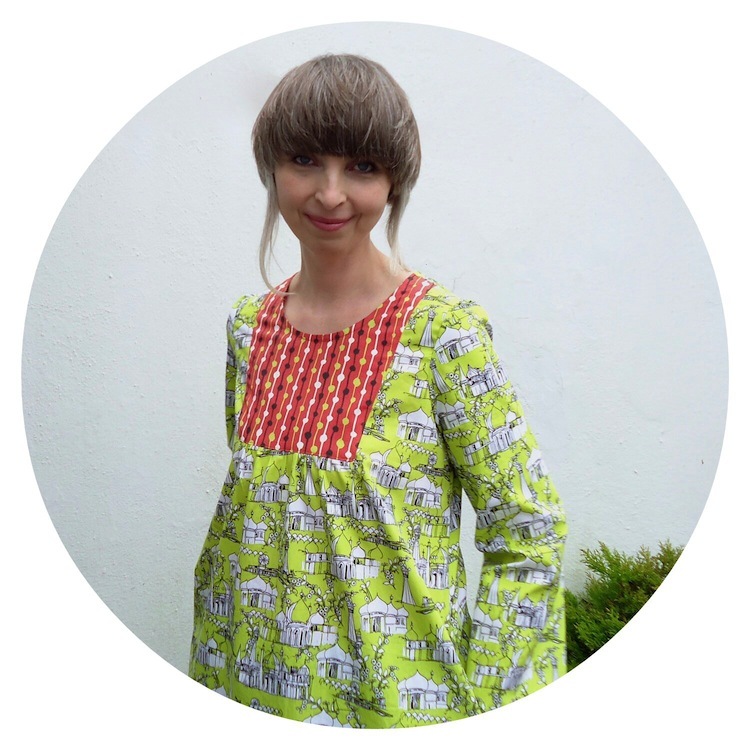 The two fabrics make a loud colour combo, just right for the sunniest days. This Tova is pretty much the same as the previous two, but I added in-seam pockets this time and finished the sleeve with a simple turn up hem.